Do remember to send your wishes to your clients especially on festive seasons. Marin Print & Advertising offers printing of greeting cards from either your own designs or from our catalogues. 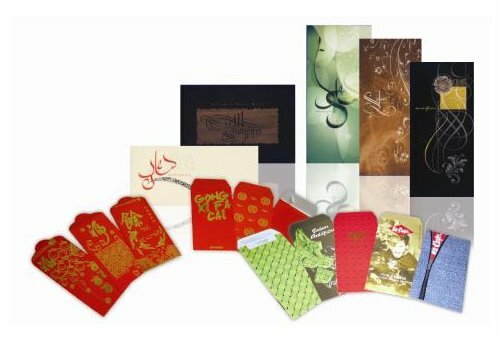 A range of Chinese New Year cards, Hari Raya Cards, Deepavali Cards or Season Greetings Cards for you to choose from our greeting cards catalogue. Not that all, we can also print Thank You Cards, Congratulations Cards, Invitation Cards, etc. Our greeting cards can be ordered customized with your company name or logo printed. We will ask you to improvise on the card printing pattern, the look you would like the card to offer and we will then bring the various card printing designs to life. We offer you some of the smartest card printing trends of contemporary times. The Matt Laminates and Spot UV cards will look like heavenly sheets of your individuality. It is said that your cards offer your personality and we promise to put your personality in best possible perspective. Say something sentimental, silly, sweet, or sensitive in a custom greeting card you print yourself. Here are tips, ideas, and templates for designing and printing greeting cards and invitations. Select specialty software for creating all occasion year-round and holiday cards. People the world over like to be recognized. Smart business owners and thoughtful people like to recognize good customers and friends. One of the most obvious, yet meaningful ways to do this is by sending out warm wishes during the holiday season with Season’s Greeting cards. 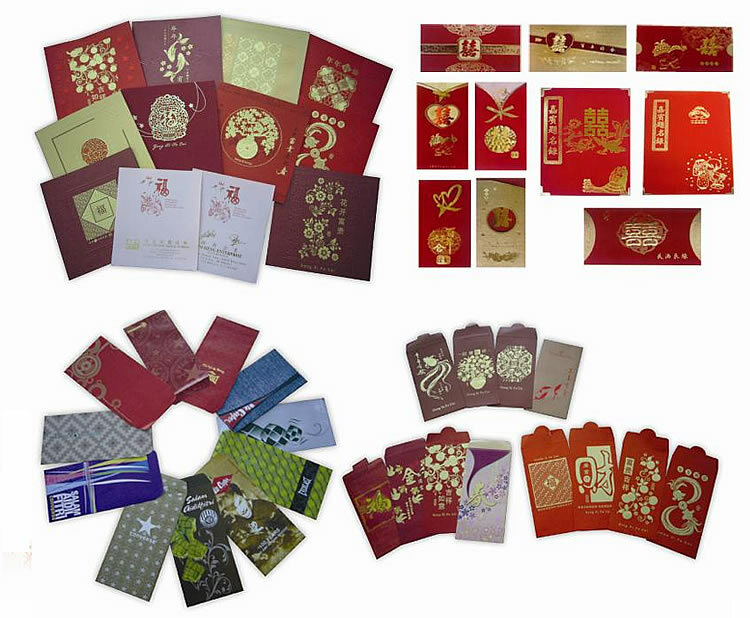 Chinese New Year being the biggest festive season for the Chinese or Hari Raya Puasa for the Malay, many brands and companies see this as an opportunity to do a little marketing, providing their self-designed Red Packets for their customers. Marin Print & Advertising designed packets with creative concept and idea. There is a great variety of design to choose with. You can also present your own design, photo for making the packet!